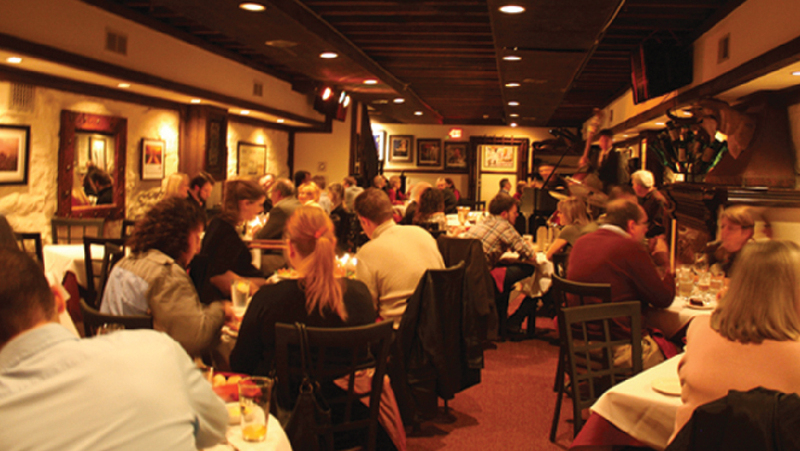 The Majestic Restaurant Proudly Features Kansas City Jazz Seven Nights A Week. Most music historians consider New Orleans the cradle of jazz. While this may be correct, it was in Kansas City that jazz truly came of age. Kansas City jazz was a vibrant form of music that was fostered at a time when Kansas City was considered “The Paris of the Plains.” This rebellious form of jazz grew out of the speakeasies and eventually filled dancehalls throughout the town. Legendary Kansas City jazz districts like 12th Street and 18th and Vine showcased this sound and raised the spirits of depression-era Kansas City residents. The new sound was unique to Kansas City that drew in some of the finest musicians from around the country. This legacy of is proudly preserved at The Majestic Restaurant’s Kansas City Jazz Club. The late twenties and early thirties were difficult times for jazz musicians. The Great Depression and Prohibition had limited the crowds and venues they played around the country. The forward thinking “Boss Tom” Pendergast had limited the impact of both in Kansas City. Pendergast kept the booze flowing in Kansas City during Prohibition and lessened the impact of the depression in Kansas City by creating “The 10 Year Plan.” This public works program kept Kansas Citians employed working on projects like the Downtown Airport, City Hall, Convention Center, and Municipal Courthouse. This meant that musicians from around the Midwest knew that they could still find paying crowds in Kansas City. The influx of musicians from around the country sparked the creation of Kansas City jazz. Previously, jazz had consisted of the “Big Band” style in which orchestras played well rehearsed songs for more reserved crowds. The arrival of so many talented musicians in Kansas City made this difficult. Kansas City jazz developed more of an improvisational sound. This led to the birth of musical movements like “swing” and “bebop.” Jam sessions would start in the evening and often last until the sun rose. This type of free form music would later become world renowned as Kansas City jazz. Many great jazz musicians called Kansas City home. Count Basie, Charlie Parker, Jay McShann, and others played the nights away in Kansas City. Kansas City jazz is still alive and well with musicians like Bram Wijnands, Tommy Ruskin, Rich Hill, Mark Lowrey, The McFadden Brothers, and others. The Majestic Restaurant is proud to provide a venue to these incredible Kansas City jazz performers. Mixed in with these Kansas City jazz legends you will find many of the rising stars of the Kansas City jazz club scene. The Majestic Restaurant features live Kansas City jazz nightly. We are proud to carry on this tradition and support the vibrant art form that is Kansas City jazz. The Majestic Restaurant Is A Proud Supporter Of The Kansas City Jazz Heritage.